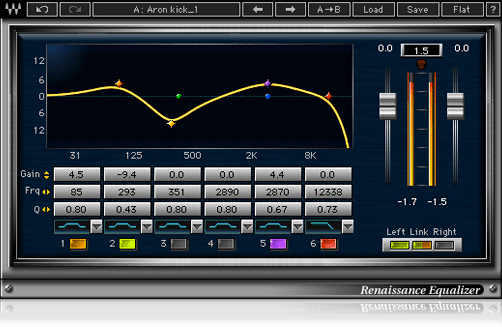 Renaissance Equalizer, Software parametric EQ from Waves in the Renaissance series. This Sunday only, Waves offers special prices on three new products. 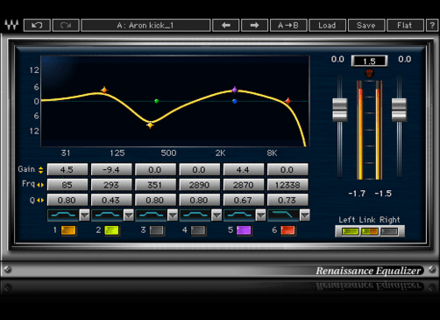 The Waves Renaissance equalizer and Manny Marroquin Reverb plugins are offered at 50% off (at respectively $39 and $49), while the Musicians 1 bundle is available for $59 instead of $99. Melda Production updates and new release Melda Production has released MTransformer and updated all its effects and MPowerSynth to v9.11. Waves offers 24-hour discounts on three products This Saturday, Waves offers special sales on two plugins and one bundle. Voxengo updates PHA-979 to v2.5 Voxengo has updated its PHA-979 plugin to version 2.5, including several new features.